Welcome to the official website of the Permanent Mission of the Republic of Serbia to the Council of Europe in Strasbourg. 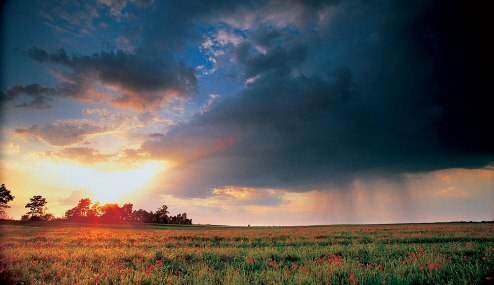 Our task is to present and promote the interests of the Republic of Serbia in the Council of Europe. 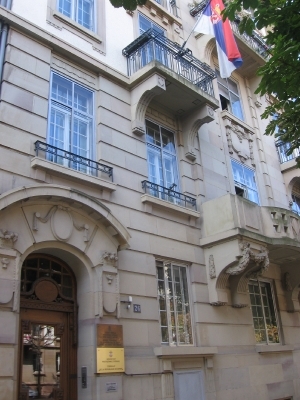 The Permanent Mission of Serbia is the main link between Serbian authorities and the Council of Europe. The work of the Mission focuses on European cooperation in the field of democracy, protection and promotion of human rights and the rule of law. The Permanent Mission was established in 2003 and since than has been working regularly. On this website, you can find all important information regarding our work in Strasbourg. We wish you a successful browsing. On our part, we will be ready to answer all your questions concerning our activities. Ten new members of the Group of Experts on Action Against Violence against Women and Domestic Violence (GREVIO) were elected at 7th meeting of the Committee of the Parties to the Council of Europe Convention on Preventing and Combating Violence against Women and Domestic Violence, held on 1-2 April 2019. Among them was the candidate of the Republic of Serbia, Ms. Biljana Branković, who was reelected. Ms. Biljana Branković is a renowed expert for the fight against violence against women and domestic violence and she has conducted several researches in this field. During more than twenty years of professional experience in this area, Ms. Biljana Branković has significantly contributed to the enhancement of the position of women, both at national and international level. Bearing in mind the importance that Serbia attaches to the implementation of the Istanbul Convention, it is a pleasure to note that the expert from Serbia was elected for the second time to GREVIO. 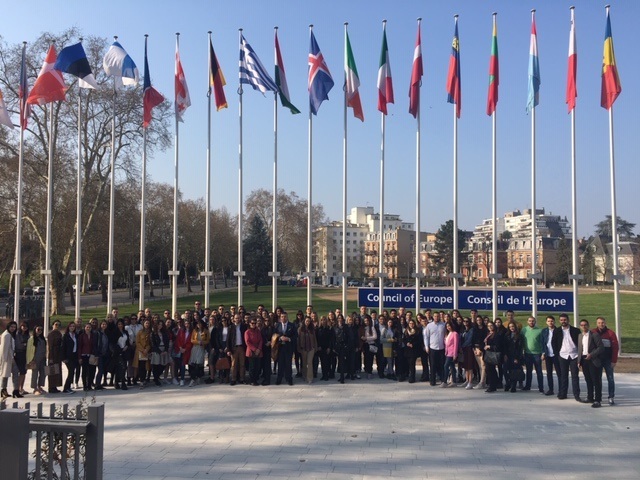 Ninety-five students of the Faculty of Law in Nis participated to a study visit to the European institutions, based in Strasbourg, from 1 to 2 April 2019. 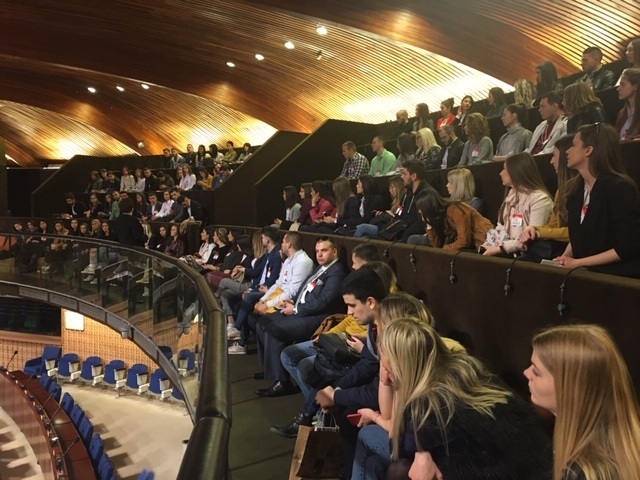 With the assistance of the Permanent Mission of the Republic of Serbia to the Council of Europe, they had the opportunity to visit the Council of Europe and the European Parliament. During their visit to the Palace of Europe, two presentations were given on the role and mandate of the Council of Europe. Also, they were briefed on current challenges such as the election of a new Secretary-General, financial crisis resolution, but as well on the importance of the organization when dealing with the protection of personal data, fighting against violence against women, fight against hate speech etc. 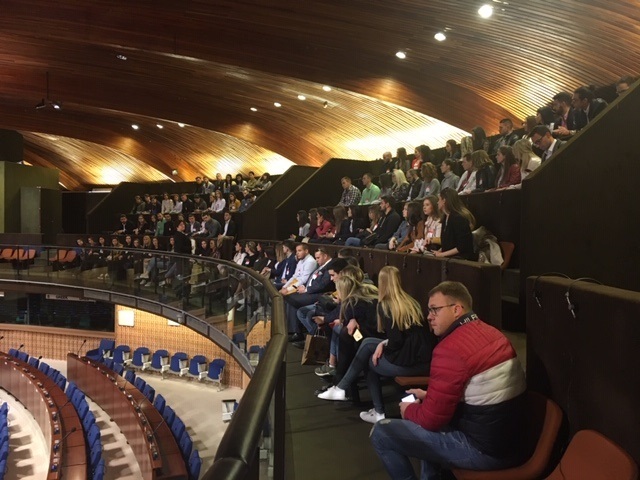 The students visited separately the European Court of Human Rights. 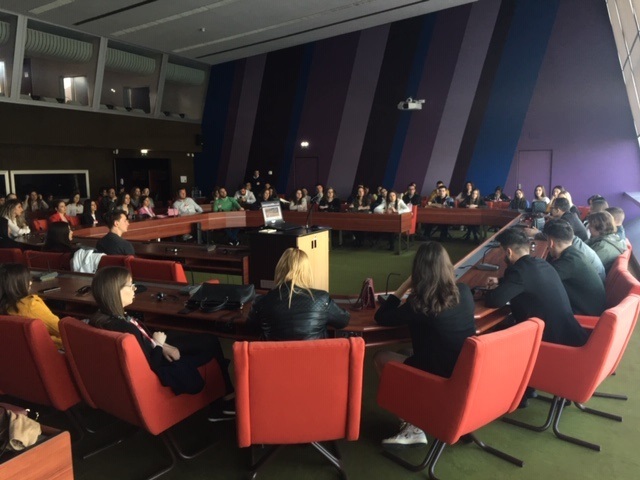 During their visit to the European parliament, the students had the opportunity to hear about the work of one of the principal institutions of the European Union, particularly with regard to the forthcoming elections, to be held in May 2019. With regard to the forthcoming elections for new members of the Group of Experts on Action against Violence against Women and Domestic Violence (GREVIO), during the Meeting of the Committee of Parties to the Council of Europe Convention on Preventing and Combating Violence against Women and Domestic Violence (Istanbul Convention), to be held on 1-2 April 2019, the Permanent Mission of the Republic of Serbia organized the presentation of the candidate of Serbia for the re-election to this expert body, Ms. Biljana Brankovic, who has been its active member since 2015 - namely since its foundation. 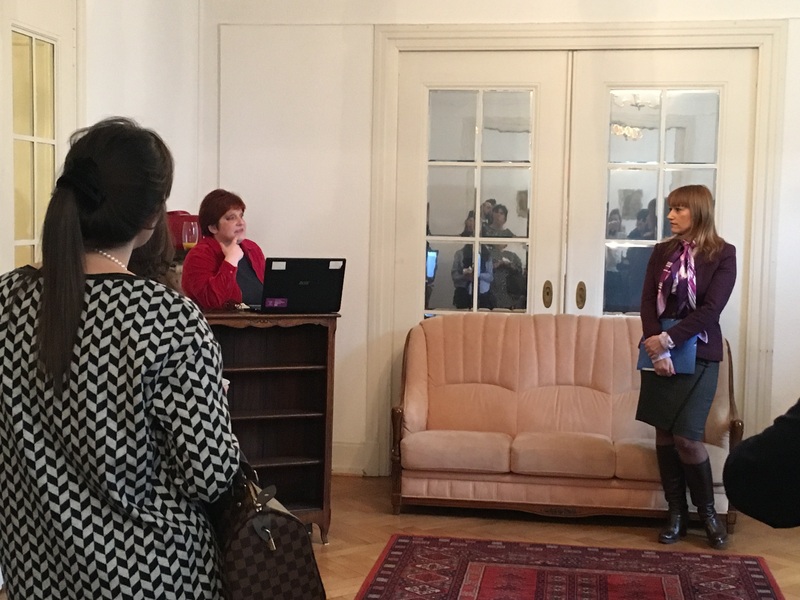 At the very beginning, Ambassador Djurovic explained to the guests from permanent missions in Strasbourg about the importance that Serbia attaches to the fight against violence against women and domestic violence, also by reminding that Serbia was among first ten countries to ratify the Istanbul Convention, which enabled its entering into force. 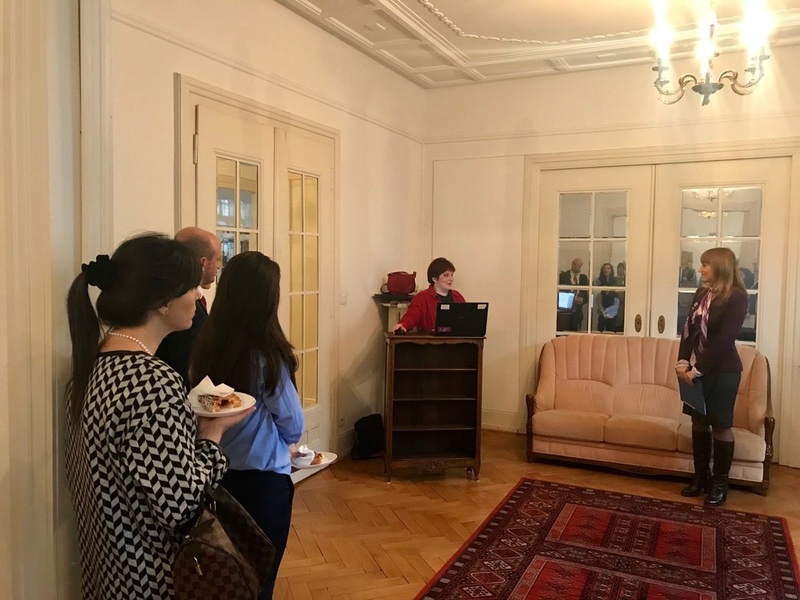 Then, she expressed the satisfaction about Serbia`s opportunity to support, for the second time, the candidacy of Ms. Biljana Brankovic, whose professional experience in this field had been recognized both at national and international level. Ms. Biljana Brankovic presented in details the various aspects of her previous researches and her work conducted in the field of implementation of the Istanbul Convention in Serbia and other countries. 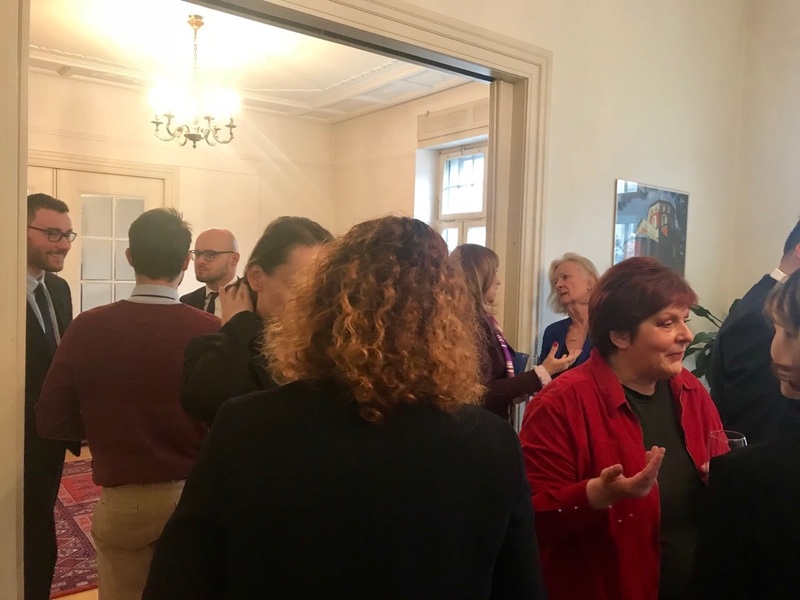 Moreover, she shared the experience concerning her work within the GREVIO, including many challenges that the Group of Experts and State Parties of the Convention were facing. In the discussion which followed the presentation, the participants to the presentation were particularly interested to know more about the definition of physical and other forms of violence, reforms in national criminal codes, as well as about the implementation of good practices in the field of prevention of violence against women and domestic violence. © 2014 Ministry of Foreign Affairs of Serbia. All rights reserved.